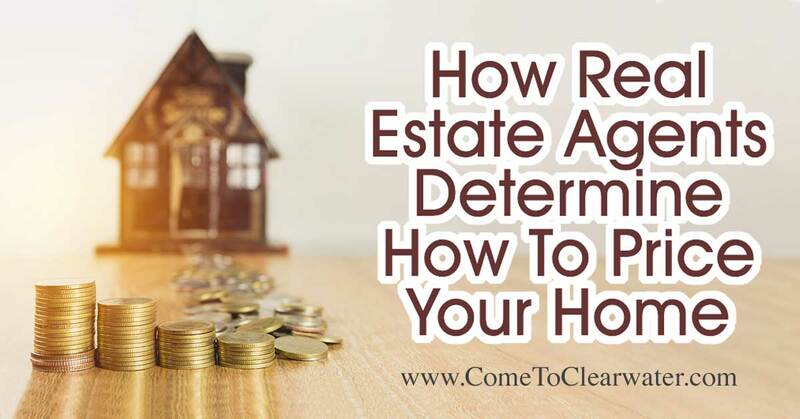 Have you ever wondered how a Realtor determines the value of the homes we list? While the process may differ from Realtor to Realtor, we all use the same basics. It’s no big secret, so here are the basics. A lot of experienced Realtors often have a “gut” feeling about what a home is worth, but we always back it up with the facts. One thing they use is a Competitive Market Analysis (CMA). This is a pretty comprehensive report that takes a lot of things into consideration. First, a CMA will look at homes that are similar in size, features and amenities and that have sold recently. That first part will give a starting range. Next, we look at home that are currently for sale. While not as concrete as an actual sale, it can help narrow the range a bit by seeing what features and amenities are fetching a higher asking. In the same vein they also look at homes that failed to sell. 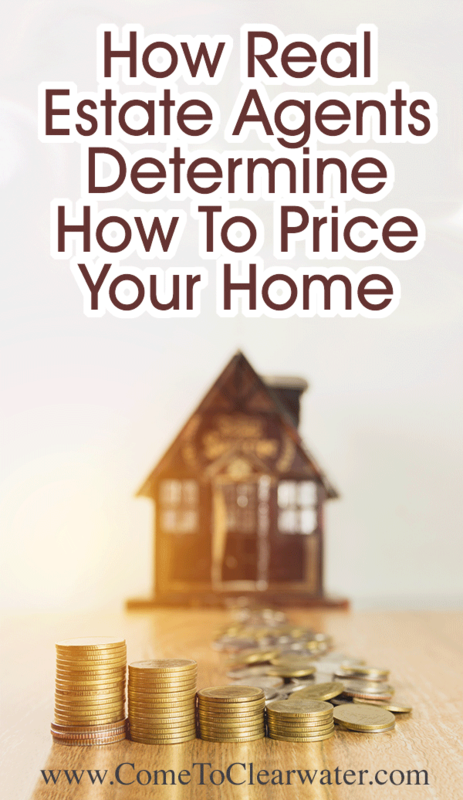 If a home that is very similar to the one we are pricing failed to sell, we can look to see why and avoid the same fate. Looking at all of these factors, along with anything special or unique about the property, such as it being waterfront property or having a lot of acreage will give the Realtor a tighter range. Now we consider market factors. This is a big part of the equation. The market basically means are there more sellers than buyers, making it a buyers market, or more buyers than sellers, making it a sellers market. Other things factor in, such as is there a lot of new construction in close proximity? What is nearby, as in shopping, dining and entertainment, and schools? How is the economy in the area; healthy and growing or downward and dying? Using all of this, we then take the owner into consideration. Not only what the owner expects to sell for, but also how they will help or hinder the sale. Will they keep the home in showing condition or leave messes? Will they restrict showings and so on. The Realtor may lower their estimation based on the CMA and market factors a bit to compensate for an inflexible seller. The cost of a home isn’t just the price to purchase it. Homeownership also includes things like insurance. In Florida not only is homeowner’s insurance part of the cost, but also flood and hurricane insurance. 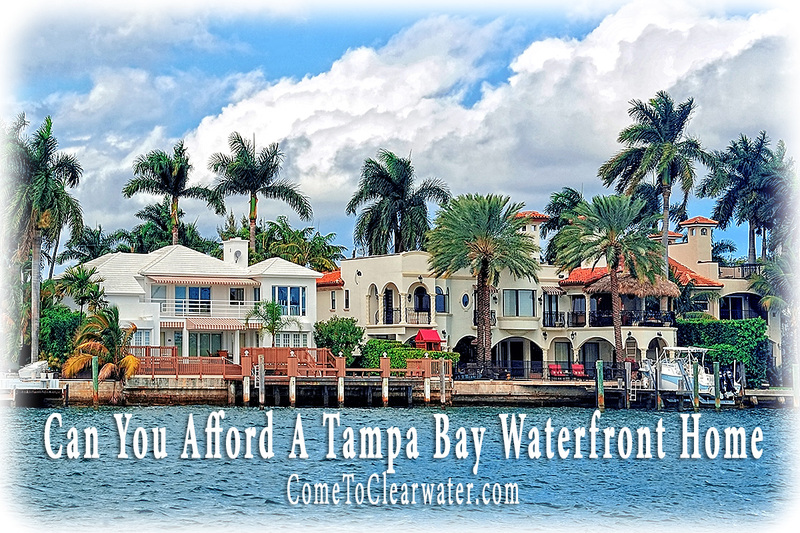 That can make owning a waterfront home in Tampa Bay more expensive, but not impossible either! Over the last 5 to 10 years Florida has dealt with some very destructive storms. Because of that many insurers won’t write any kind of real estate policies in the state. That makes owning a waterfront home problematic, but not impossible. Homeowners insurance is a policy that protects the homeowner from a few different things. First is liability issues should someone injure themselves while on your property. Second, it covers damages to the property in the case of a fire, break-ins (including property stolen) or other kinds of disasters that don’t involve floods or hurricanes. There are different riders, or additions that you can add. Your mortgage company will require that you have a policy, and will probably escrow money monthly to pay the premiums for you. Hurricane or storm insurance is insurance you can purchase that will fix your home and replace belongings damaged in a bad storm. As several bad hurricanes have proven in Florida, they can be utterly devastating. The Gulf area is sometimes spared hurricanes, but not always. Purchasing hurricane insurance is prudent. Yes, it all adds up, and finding a company that will write policies for waterfront homes that are affordable can be challenging, doing so isn’t impossible, and is a smart move.